"Hunter As A Horse play brilliant electro-pop, addictive and contemplative... they are a hot ticket for the future." "Bringing to mind the mesmerising atmospherics of Lamb and Zero 7. Dark, and very lovely indeed." "One of my favourite favourite bands..."
A haunting, psychedelic synth-infused journey filled with stories of wolves, spirits and a first kiss shared in the woods, "The Two Magics”, is a powerful debut EP from Hunter As a Horse. 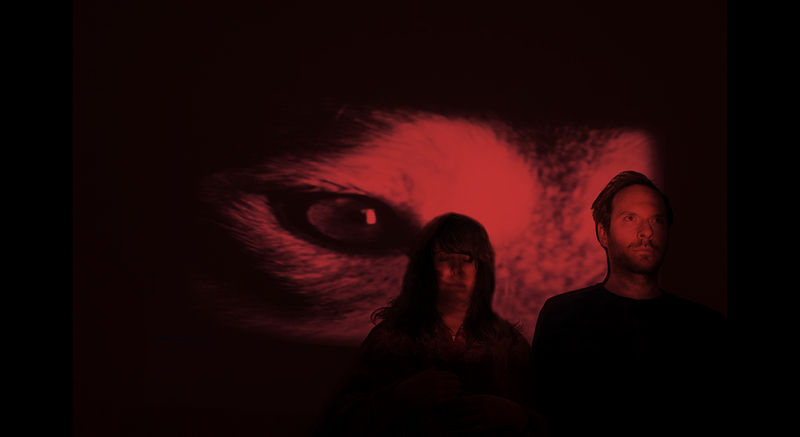 The sound is distinctly their own - a surprisingly comfortable blend of folk, disco and pop with dark cinematic leanings. Co-produced by Ewan Pearson, the release is the result of a year-long self-imposed exile from London to rural Italy. The band, who also wrote and produced Nina’s breakout hits “We Are the Wild Ones” and “My Mistake”, moved south to “channel the gods of dark cinematic Italo disco”. They built a studio an the old farmhouse house in Tuscany, previously owned by the local sorcerer “il terzo occhio” (he who has the third eye), and began writing and honing their sound in earnest. “We wanted to cut ties with the influences of the city and reconnect with nature in order to create something deeply honest and fearless. Where better than in the mountains of Tuscany. There’s a strong tradition of art and music in these hills” said Mia, the band’s vocalist and guitarist. Coinciding with the launch of "The Two Magics", Hunter as a Horse, will be embarking on a European tour. The shows, which draw on inspiration from Andy Warhol’s moody lighting of the Velvet Underground, are part of a collaboration with minimalist light artist Radarboy. Hunter As a Horse are Paul Gala on synths and machines and Mia van Wyk on vocals and guitar. "It’s indisputably great stuff, and unlike anything else you’ll hear right now: watch out for these guys."